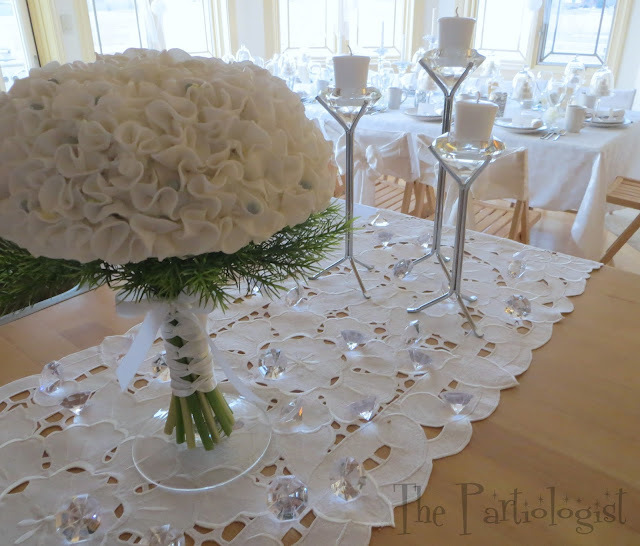 The Partiologist: Sugar Art School! Today is the day I'm going to share with you a new adventure I've been on. Many of you may be a fan of Sharon Zambito, SugarEd Productions, she has taught many cake decorators through her instructional videos. 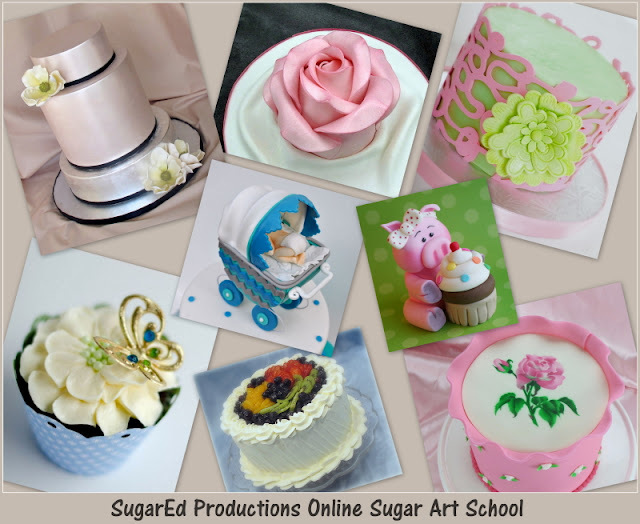 Recently she launched an addition to her website called SugarEd Productions Sugar Art School. This is a place where you will find Video Tutorials, Photo Tutorials, Cake Photography, Featured Contributors and more. Well, I am a CONTRIBUTOR - yep, little ol' me will be sharing some of my projects with all the subscribers of the Sugar Art School. I gave it some time before I decided it was safe to announce (you know, like her realizing she had the wrong girl) but so far so good. You will find the instructions, from start to finish for the bouquet cake on the Sugar Art School website HERE. 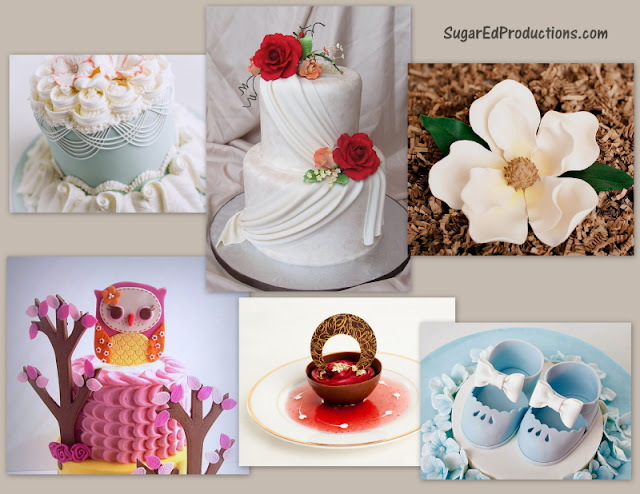 Yep, I don't think I'll be teaching anything like those on my blog, so you're going to love being a part of SugarEd Productions Online Sugar Art School! Perfect timing don't you think? I'm just about to start with my back to school posts, and I'm one of the contributors On the Sugar Art School website - so I'm kind of like a teacher! I will continue to bring YOU, my wonderful, faithful readers, who (or is it whom?) I love more than cake, all the wacky blog posts just like before. 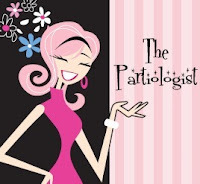 I'm still the one... and only... Partiologist! Congratulations, Kim. That is so exciting! SO awesome! Congrats, Kim! It is so well-deserved - you have the most fabulous ideas! You are so sweet, thank you Jennifer! Yea, she has the right girl! Thanks! So excited for you, Kim. You're a great teacher!!!! So excited for you, Kim. You're a great teacher!! Kim, we are THRILLED to have your amazing creativity and talent as part of our team. Thank you so much for joining us! I am beyond excited to part of your team - thank you so much!! Congrats KIM!! I am so excited for you!!! Thank you Lisa - I knew you would be excited! Oh Lisa - you are too sweet! I am lucky to have you as a friend! Congratulations! 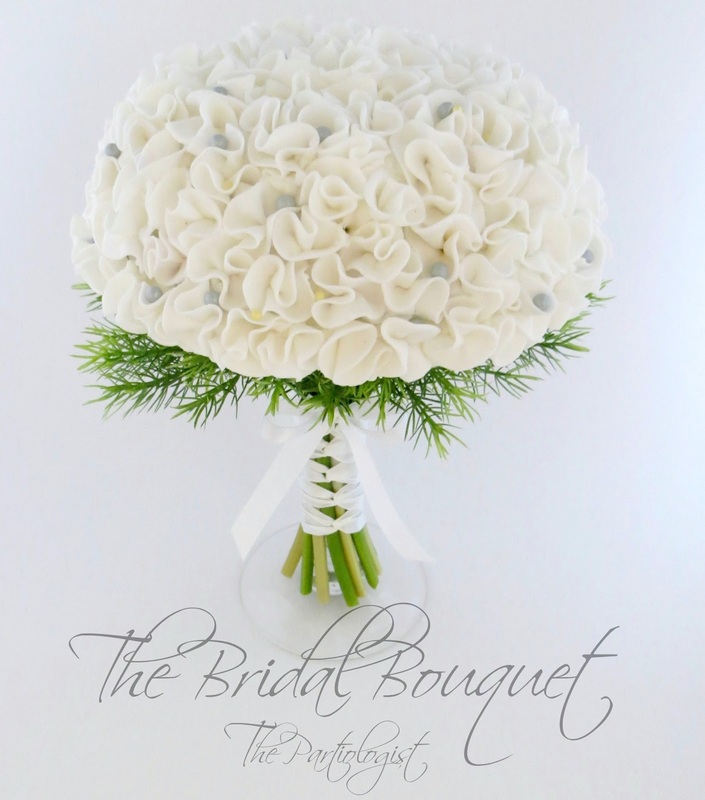 And that bridal bouquet cake is absolutely amazing!!! I am so excited for you and SugarEd Productions are extremely lucky to have you join them! Thanks Maxwell, I'm feeling pretty lucky myself! Such exciting news, Kim! Yep, you ARE the one and only! Your cake bouquet is beyond amazing! CONGRATS! Oh you are so funny - like waiting to realize you are the wrong girl. You need to realize you are SO right ;) Your contribution looks fab. How exciting for you. Congratulations. The Sugar Art School will benefit greatly from your expertise and talents. Paula you are so sweet - I really am excited to be a part of a SUGAR ART school - the best kind of school ever!